This news story was published on April 15, 2019. DES MOINES – A disease normally controlled by vaccinations has reached Iowa, leading to fears of an outbreak. Over the weekend, through testing from the State Hygienic Lab, a Northeastern Iowan was confirmed to be infected with measles. The individual was unvaccinated and recently returned from Israel, where measles transmission is occurring. The individual has cooperated with public health officials. Public health officials are following up with potentially exposed persons to ensure they are vaccinated against measles; however, at this time there is no indication there is any threat to the public. This is the first case of measles in Iowa since 2011, and serves as a reminder for all Iowans to ensure their vaccinations are up-to-date. Vaccines prevent diseases and save lives. 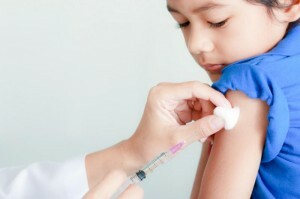 Measles was declared eliminated in 2000. It is a highly contagious respiratory disease. It spreads through the air through coughing and sneezing, the CDC says. It typically begins with fever, cough, runny nose and red eyes, and within a few days a red rash appears, usually first on the face and then spreading downward to the rest of the body, the California Department of Public Health (CDPH) says. The measles virus can live for up to two hours on a surface or in an airspace where the infected person coughed or sneezed. If other people breathe the contaminated air or touch the infected surface, then touch their eyes, noses, or mouths, they can become infected. Infected people can spread measles to others from about four days before to four days after the rash appears and may feel well enough to be out and about, potentially exposing others. Measles is so contagious that if one person has it, 90 percent of the people close to that person who are not immune also will become infected. Preliminary global data on measles from the World Health Organization shows that reported cases rose by 300% in the first three months of 2019, compared to the same period in 2018. This follows consecutive increases over the past two years. Many countries are in the midst of sizable measles outbreaks, experiencing sustained rises in cases, causing many deaths – mostly among young children. About 20,000 more coming to border as we speak – now known as the socialist mumps. In 2000, the US said it had completely eliminated measles. It has spread primarily from people who brought the virus back from other countries.